What's The Right Way To Remove Your Sunscreen? And YES, There Is One! After a recent bout of clogged pores and hundreds of tiny white bumps on my skin, I began wondering what had I done wrong?! My skincare hadn't changed, my makeup hadn't changed so what the hell brought on this army of whiteheads? The culprit was my sunscreen, or rather my failed attempt at removing it entirely! What I didn't know was that my dermatologist recommended sunscreen (that I'd been using for over 6 months) was a waterproof or a water-resistant one. I also didn't know that some types of sunscreen are harder to remove than others. If you spend your days out in the sun slathering on sunscreen - removing it is as important as applying it! Water-resistant sunscreens form a protective film on your skin and really adhere to it! Especially physical sunscreens, they deflect UV rays and don't allow anything to pass through. Did you know that sunscreen doesn't come off your skin using just face wash? I didn't! Just like you should apply moisturiser BEFORE sunscreen you should be taking out sunscreen with the right remover! Your humble face cleanser and your fingers are absolutely not enough to get all of that sunscreen out of your pores! Now I know some of you will be rolling your eyes and saying 'common sense, girl.' But think about it, a lot of us go to a dermatologist and blindly buy products they recommend because we're sure they are safe and good for our skin. On vacation, I religiously slather on layer after layer every 2-3 hours and then come back from the vacation blaming the sunscreen for breaking me out. So how do you remove your sunscreen? 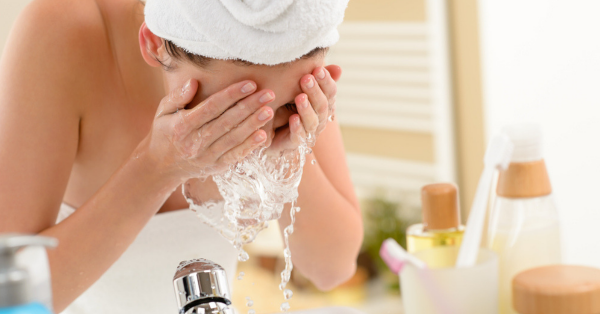 Use a cleansing oil or a cleansing balm to take everything off before wash your face with a mild cleanser. This way, you end up double cleansing and your skin is squeaky clean. An oil-based cleanser will break down the ingredients in the sunscreen and deep cleanse your pores too. Your makeup remover or micellar water is not enough if you apply sunscreen multiple times through the day or you have a water-resistant sunscreen. No more throwing shade on that tube on sunscreen guys! 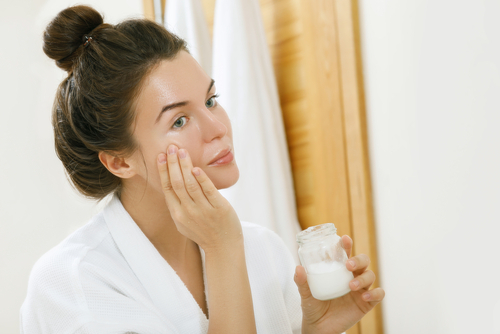 Try these oil-based makeup removers or just massage in some olive oil and wash it off with a good face wash.